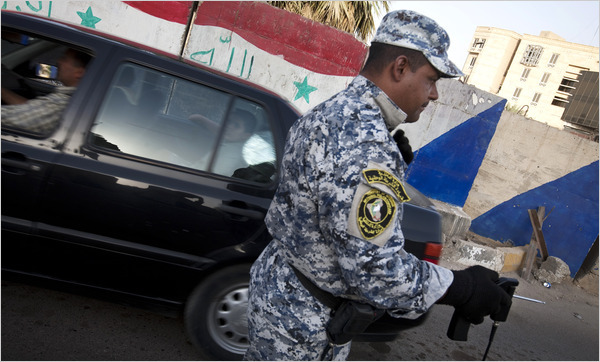 A while back I wrote about the dismal state of bomb detection methodologies employed by the Iraqi army and police. The full details are there, but, in short, a British company called ATSC Ltd sold $85 million worth of dowsing rods to the new Iraqi government that were supposedly capable of detecting explosive devices. After a series of bombings ripped through the green zone in Baghdad, American investigators were tasked with determining the nature of the security breaches that permitted the bombers to penetrate one of the most heavily guarded areas in the country. They discovered that the Iraqis were using these entirely worthless dowsing rods, called the ADE 651, as their primary method of bomb detection. Shortly thereafter, the CEO of ATSC Ltd was arrested in London for fraud, and the UK banned any further export of the product to Iraq and Afghanistan. The Prime Minister of Iraq, Nouri al-Maliki, promised an immediate investigation into the matter. At the time, I wrote that the Iraqi government would remove them from use as soon as these investigators opened one up. It pains me how wrong I was. Al-Maliki’s investigation recently concluded. Their findings stated that the ADE 651 “generally worked”, and that they will remain in use. This despite the fact that they aren’t deployed by any nation that actually invents military technology. You might find the ADE 651 used in Niger or Sudan, but advanced nations know better. Actual remote bomb detection equipment, like the kinds found in many major airports, weigh many thousands of pounds and cost around a million dollars a pop. The ADE 651 is highly regarded by some Iraqi military brass, and one Major General (Jehad al-Jabiri, head of the Ministry of the Interior’s General Directorate for Combating Explosives) has publicly stated that, “I know more about this issue than the Americans do. In fact, I know more about bombs than anyone in the world.” Maybe he was in charge of Nouri al-Maliki’s investigation. It’s bad enough that innocent Iraqis are killed on a routine basis by suicide bombers that could be stopped by conventional explosive detection techniques. What is in some ways worse is that American (and international) personnel rely on these bomb detection checkpoints as an important layer of security, while at the same time the US government knows that their principle mechanism for detection does not work. We need to tie evidence-based security standards to the timetable for troop withdrawal while we still have that ability, and hold al-Maliki responsible for this incompetence. The lives of our people are on the line too. ~ by Wil Finley on February 28, 2010.